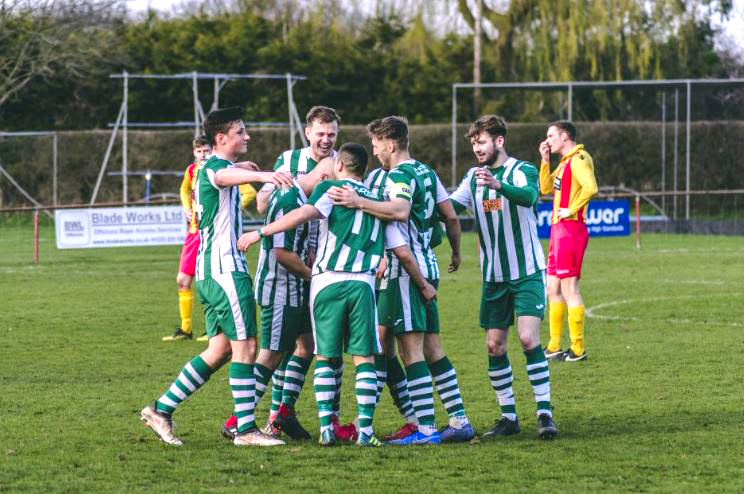 CHICHESTER CITY are within touching distance of their first county league crown for nearly 40 years and playing at step four of non-league football for the first time in their 146-year history. The Green and Whites last won the SCFL Premier title back in 1979, well before the merger with Portfield. But after last weekend’s 3-1 win at Lingfield, Chi are now ten points clear at the top of the table with just five matches to play. Miles Rutherford’s side, who are unbeaten in 19 league matches, can take a giant step forward towards their promotion goal tomorrow when they head to relegation-threatened Shoreham (3pm). Win and Chi will be need just one more win to be mathematically confirmed as the best team in the division, something that many believe has been the case for a number of months now. Rutherford’s side showed their credentials last weekend when they had to come from behind to beat surprise-package Lingfield. They fell behind half way through the first period when Chris Ransome capitalised on a slip from Terrell Lewis and lobbed City keeper Ryan Young. A triple substitution at the interval was instrumental in the league leaders’ turn of fortune. Rutherford re-jigged things at the back and in midfield, introducing Rob Hutchings, Kaleem Haitham and Emmett Dunn for George Way, Matt Axell and Lewis. Within a couple of minutes or so the bold move paid off when Haitham lashed in the equaliser after good feet and a precision pass from Gicu Iordache. Chi thought they had taken the lead soon after when Connor Cody’s effort was disallowed for offside. Josh Clack then followed in a Scott Jones effort to bag his 14th goal since October. Iordache made it 3-1 in stoppage time, drilling a shot in at the near post for Chi’s 89th league goal of the campaign and a sixth consecutive premier division victory. Newhaven, in third, lost further ground after a 0-0 draw at home to Broadbridge Heath. They are now 13 points behind with a game in hand while second place Horsham YMCA are ten points adrift. Chi will be the firm favourites to continue their good form at Shoreham tomorrow against a side who are bottom, three points from safety. City defeated the Musselmen 2-0 in the reverse fixture in December when Iordache and Ellis Martin scored second half goals.